Pakistan Peoples Party (PPP) chairman Bilawal Bhutto Zardari on Friday hit back at those who hurled treason allegations at him, saying he had an ideology which did not change with the times unlike the narrative of ‘fascist trolls running the country’. “Is life now a fascist screenplay where if you don’t follow a script you are declared traitor?” wrote the PPP leader in a message on micro-blogging website, Twitter. “Screw you and your narrative, I have an ideology [and] my ideology doesn’t change … your narrative [however] will keep changing. Read, think, speak and ignore fascist trolls who run this country,” he added. 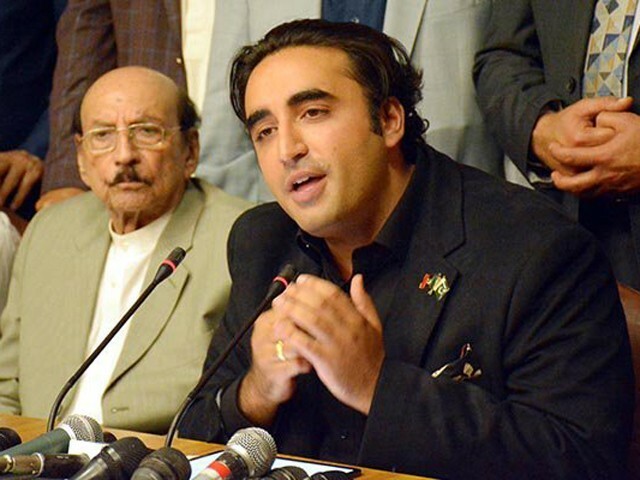 Bilawal’s scathing criticism at the government in the recent past has drawn a strong reaction from the ruling Pakistan Tehreek-e-Insaf (PTI) leaders, who accused the PPP chairman of propagating a negative image of the country and appeasing its enemies. Addressing a news conference last week, the firebrand opposition leader had expressed his skepticism over the government’s latest initiative of launching a crackdown on terrorists and banned outfits. Without naming anyone, he also urged the government to remove three sitting ministers for allegedly having close links to members of proscribed organisations. Despite strong reaction from treasury benches, Bilawal’s vitriol drew a rather unexpected response from Finance Minister Asad Umar, who after addressing a news conference held an informal discussion with the media persons in Islamabad earlier this week. “When these allegations were hurled, they messaged me the next day and said that we are still standing with you [Umar] and if you want we can issue a statement,” the minister said, when his comments were sought on the PPP chairman’s allegations. The PPP chairman has also decided to lead a ‘train march’ against government’s alleged policies of pushing the opposition parties against the wall. The PPP will stage a train march from Karachi to Larkana in first phase of the country-wide protest demonstrations. The decision to hold protest demonstration in 35 cities and towns of the country is taken to mobilise the party workers against the government policies and rising inflation.